There was a time when sending a business thank you email was considered inappropriate. Today, however, it is fine to use email as a way of sending a quick thank you. I want to go over some etiquette tips for writing thank you letters via e-mail, but first, here is a list of sample thank you e-mails that you can use as an example for your own professional correspondence. Read sample letters to say thanks for participating in an important meeting. Show your important customers how grateful you are for their continued business. Ensure continued support from your donors by writing gracious thank you letters. Retiring? Read example letters saying thanks to colleagues and bosses for providing a great work environment. Few things are as valuable in business as a good mentor. Read example letters for thanking your mentor. Read general thank you letter templates for sending to colleagues. Keep in touch with professional contacts when networking. Alright. 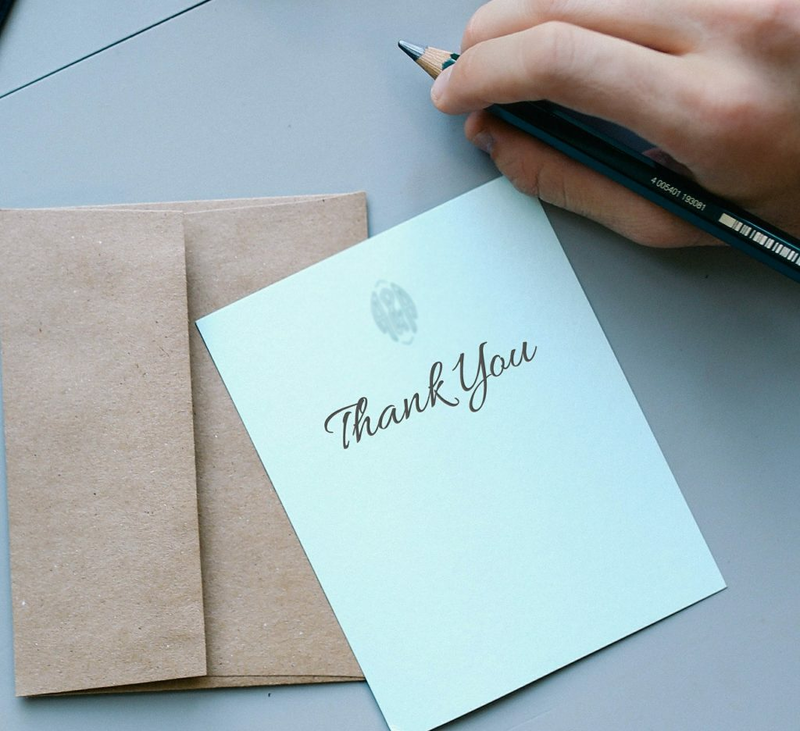 When writing a thank you e-mail in a professional setting, there are several things to keep in mind. There is a good chance that the recipient of your email gets a LOT of email every day. This is one reason why it is so important to include a subject line that will make it clear what your e-mail is about. This will give the recipient a general idea of the contents. Something like "A Quick Thank You: Interview for Design Position" is perfect for the subject line. The recipient knows you're just writing to say thanks, and they know what you're thanking them for. Because shooting off an email feels more casual than writing a business letter, some make the mistake of using language that is overly friendly or much too casual. This includes the greeting and salutation as well as the body of the note. For example, do not use "Hi, Mike!" instead opt for the more formal, "Dear Mike". When closing, choose "Sincerely" over "Thanks Again". For a list of nice professional valedictions, check out: Letter Closings and Sign Offs. In the body of the business thank you email, be sure to keep the language formal and business appropriate. As mentioned above, the person who will receive your thank you email probably gets a lot of mail each day. Whether sending a thank you email or a traditional business thank you note, one important rule of thumb is to keep the message short. Anything more than three to four short paragraphs is likely too long. If your note is too long it may not even be read. Keep it short and sweet. Is there is ever a time when it is appropriate to send a group business email thank you? Tradition would say no, and that all thank you notes should be written to individual people. If, however, you feel that your situation calls for a group email be sure that the note does not include anything that singles out one individual over another. Read over the email and make sure it is perfectly suited for every recipient. If not, scrap it and choose individual thank you notes instead. If you are sending a professional email from a personal account that includes an automatic signature, be sure to check that the signature is appropriate for business correspondence. You probably wouldn't be the first person to send a business thank you email with the signature that read "Party Gurl 4Eva", but that probably won't help you to establish the kind of image that you are hoping to create. A great idea for an email signature on a business thank you email is simply your address, phone number an email address. This will allow the recipient to get in touch with you without having to search for your contact information.